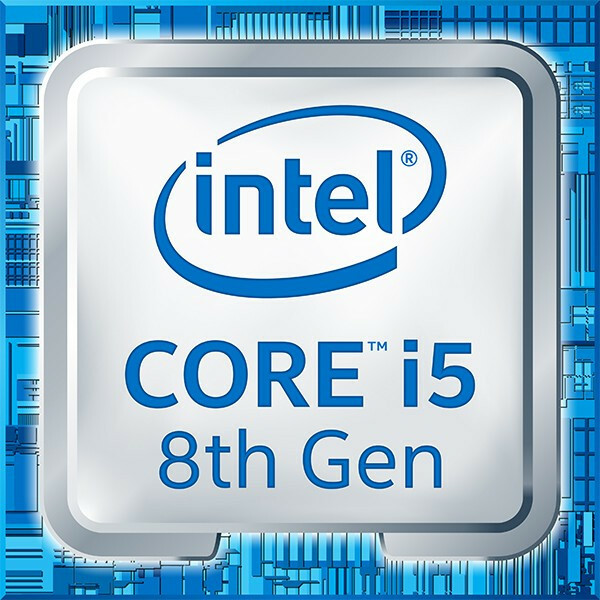 Intel's eight generation of CPUs go by this codename and represent the successor to the Socket 1151 Kaby Lake and Skylake series. Although they share the same socket designation, they are not compatible with older chipsets due to a range of optimisations to Coffee Lake CPUs. On this basis, they require a 300- series chipset. The Coffee Lake Intel Core i5 processors offer six CPU cores, high clock frequencies and new Turbo Boost Features - all at a TDP of just 65 Watts! The Intel Core i5-8500 offers a clock frequency of 3,0 GHz which, thanks to Turbo Boost 2.0, clocks up to 4,1 GHz ansteigen kann. It should be noted that the boost frequencies vary depending on whether 1-, 2-, 4-, or 6 cores are in operation. This enables Coffee Lake CPUs to maximise their performance and allows users to optimise CPU usage depending on whether the processor is being used for games or applications. The L3 cache has been increased to 9 megabytes and the Thermal Design Power (TDP) sits at 65 Watts. More links for "**B Grade** Core i5-8500 3.0GHz (Coffee Lake) Socket LGA1151 Processor - Retail"